With two channels of simultaneous recording capability, the AudioBox USB is perfect for singer/songwriters looking to create their demo or document song ideas. Both channels offer phantom power, so you can use condenser microphones with no problem. Plus, its TRS outputs allow you to connect a pair of monitors, so you can mix, edit, and listen back to your recordings. The AudioBox USB interfaces with your computer via USB for quick and easy connection. The USB connection also serves double duty, providing power as well. 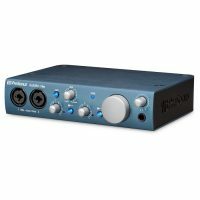 Don’t have recording software? No problem. 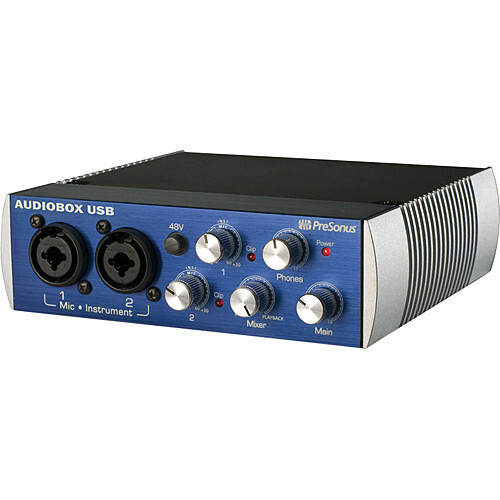 The AudioBox USB comes with PreSonus Studio One Artist for free. This awesome recording software suite features a really easy-to-use design, and you can record unlimited tracks. To develop your mixing and production skills, you can use Studio One Artist’s extensive effects library, including 20 dynamics processors, reverbs, modulation effects, amp simulators, and more. You won’t believe the recording power you can find with your AudioBox USB for free!